Today many of us take marine aids to navigation for granted, and until they need to be replaced, we don’t realise how much we depend on them! Most aids to navigation only require a routine inspection and maintenance after installation. Then they effectively continue their job so that mariners, harbour masters and other seafarers have one less thing to manage! However, it wasn’t always that way. The first navigation aids were very different. Early mariners were guided into port by fires lit on hillsides to denote where the safe passage lay. These were built on platforms to improve visibility and had to be watched over to ensure the flame didn’t go out. The lighthouse evolved from those early platform fires. 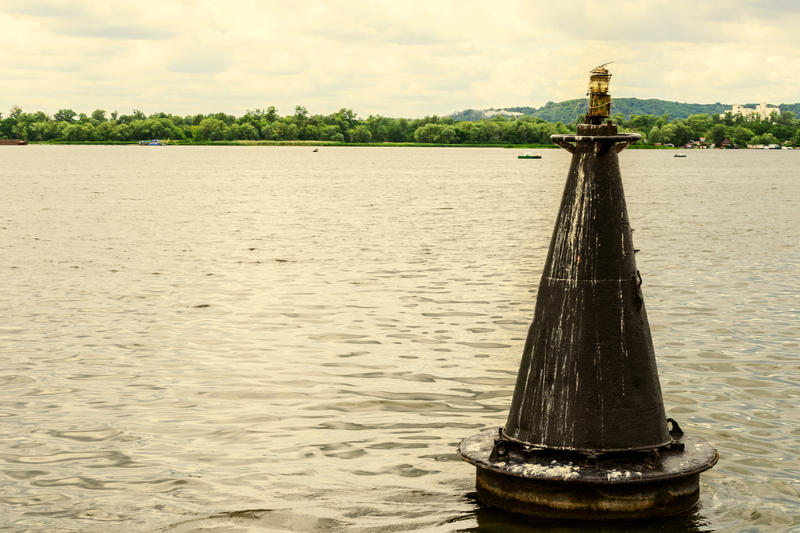 Records indicate that the earliest lighthouse dated from the 5th Century BC. This was located at the harbour of Piraeus, Greece, and consisted of a stone tower with a fire beacon mounted on top. Two centuries later, the famous Lighthouse of Alexandria of Egypt, otherwise known as the Pharos of Alexandria, was constructed. Although it was destroyed in an earthquake many years later, remains of other lighthouses from this period do provide some insight into the construction of the base and tower. 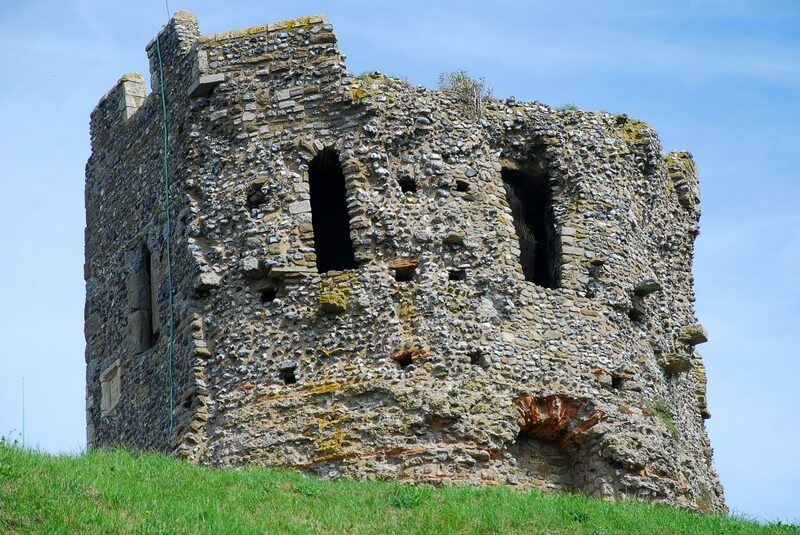 One such example is The Roman Lighthouse of Dover in the UK. According to historical data, these early lighthouses were illuminated on a top stage in the tower, so a lighthouse keeper would undoubtedly have had a hard job keeping the beacon lit; transporting fuel (wood or coal) up the tower to the platform, keeping the fire alight all night, and protecting it from gales and adverse weather. Many Roman lighthouses fell into disuse and were replaced by newer constructions. At the same time, more lighthouses were built across Europe as advances in navigation necessitated a demand for better aids to navigation. Amazingly, in Ireland, one medieval lighthouse is still in use. Hook Lighthouse has naturally had some upgrades over the last 800 years, but this is the oldest operational lighthouse in the world. In the UK, lighthouses were erected not only to provide marine aids to navigation, but from the early 17th century, they were often built for generating revenue. Lighthouses were commissioned and built by private individuals who were licensed to collect dues by the crown or local authority. At this time, lighthouses were still used mainly for navigation into ports and harbours, so any vessel docking at night would be expected to pay lighthouse dues. This could be highly profitable. The Lighthouse Act of 1836 meant that the reputable Trinity House became responsible for the remaining privately owned lighthouses. The Act enabled Trinity House to purchase many lighthouses, from Harwich, to Tynemouth and the Skerries Lighthouse on Anglesey. The original owner of the Skerries held out until 1841, unwilling to let go of such a profitable venture – and unsurprisingly, as in the 1830s, The Skerries had an average annual profit of £12,525! The lighthouses of this era were also utilized to warn mariners of hazards such as hidden rocks, reefs and promontories. Increased local and international and local traffic to our waterways meant marine aids to navigation were needed to protect mariners from misadventure, as well as guiding them smoothly into harbour, as they do today. Many sites for these new lighthouses were remote and difficult to access. The Eddystone Lighthouse near Plymouth Sound warns against an extensive reef. However a first attempt to provide a beacon only lasted a few years when the Great Storm of 1703 swept it away. A second tower was erected that lasted until 1755 when it was destroyed by fire, but it was the third attempt that was revolutionary; civil engineer John Smeaton pioneered many new techniques in this reconstruction. These included using hydraulic lime (a type of concrete that sets in water), and dovetailed granite blocks to lock the blocks together and improved the structure’s stability. Gifted engineers such as Robert Stevenson subsequently made further improvements to the tower design; making many advances in the technology used to illuminate the beacons. Stevenson was innovative in developing a variation of light sources, mountings, reflector design, the use of Fresnel lenses, and even in rotation and shuttering systems. The latter allowed different lighthouses to be identified by mariners with their own unique beam pattern. By now candles and oil lamps had replaced burning pyres, and then from the 1860s onwards gas became the main fuel for lighthouse illumination, being substantially more powerful than oil. At the same time, the use of electric lighting was also being explored. The first electrically illuminated lighthouse was at Dungeness in 1862, but it wasn’t for another hundred years before electricity became the dominant form of illumination in lighthouses. The 1960s was also when LED lights were first invented. However, it has only been in more recent years that this technology has been introduced into lighthouses. LED beacons, of course, have many advantages – they consume less power, need very little maintenance and can be run from a solar power supply. They also project an exceptional beam, with night ranges of up to 30+ NM at 0.74T as well as maintaining sharp boundary resolution. With modern advances in electronic marine aid to navigation, Trinity House has reduced the specified ranges required for some long range lights. Most of the lighthouses have been converted to automatic operation, and no longer require fulltime keepers to be in attendance. Many of the early lighthouses that marked the entrance to ports and harbours are no longer essential to marine traffic, instead replaced with navigation buoys and static navigation lanterns. However, Trinity House still maintains over 60 lighthouses in the UK, and lighthouses are still used for marine navigation all over the world. Interestingly, some lighthouses are still lived in, but often after they’ve been decommissioned and converted into private homes! And no wonder, for they are a beautiful, historical addition to our British coastlines. To find out more about LED long range navigation lights for lighthouses and leading lights, click here.